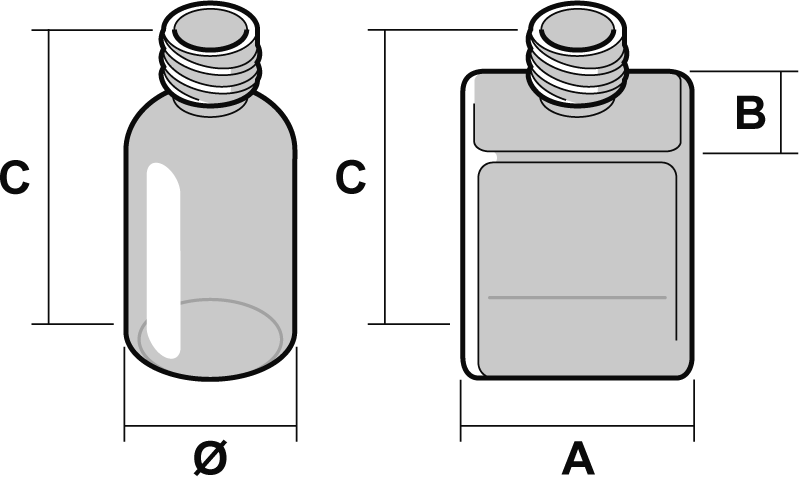 The format-based scroll allows to bring even irregular-shaped bottles into sync, and furthermore eliminates the need for nozzle adjustment. 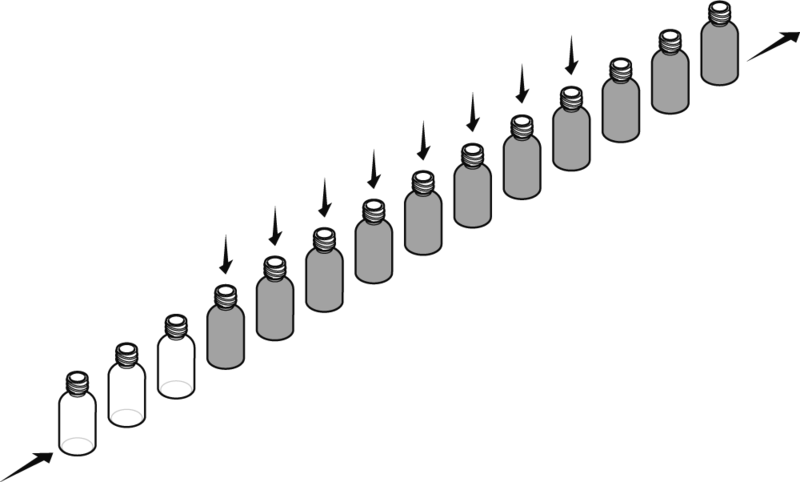 For correct positioning of the bottle mouth, a centering rake is provided, that comes into action before nozzle descent. 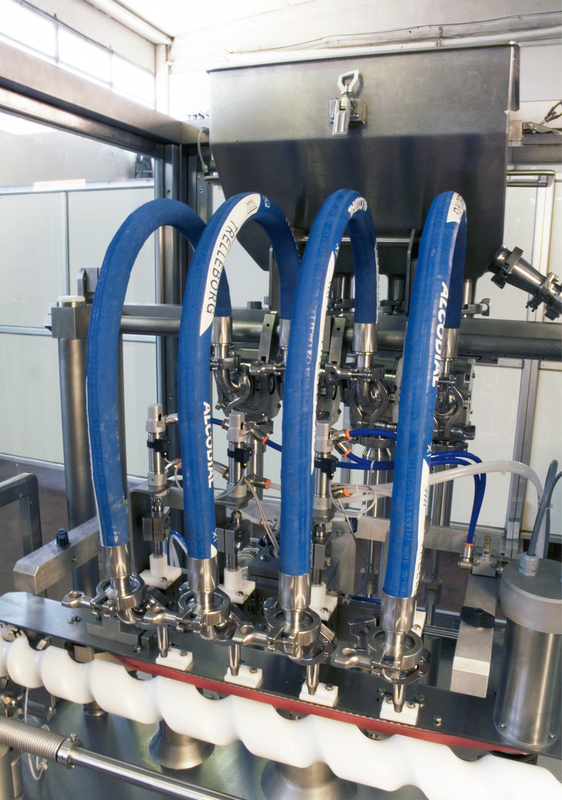 With the same command, a system is inserted at the end of the dosing phase between nozzles and bottles, for the recovery of eventual dribbles or drops of liquid. 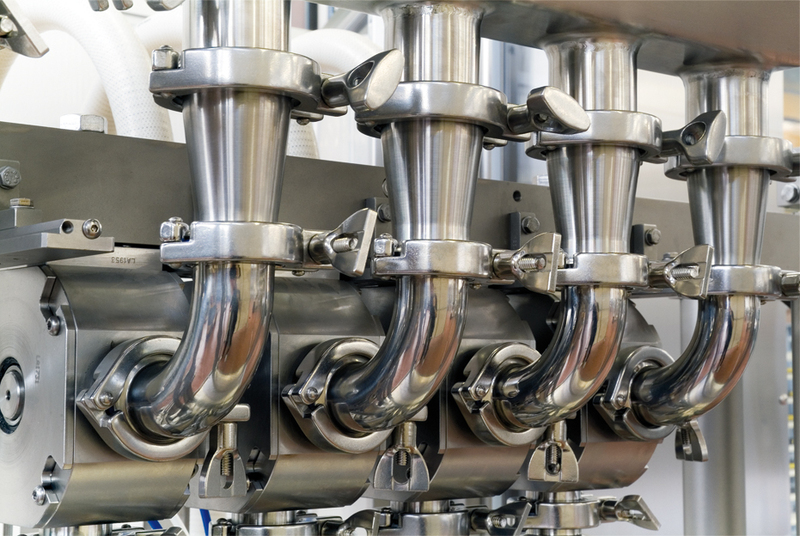 All dosing groups are fastened by quick-release “tri-clamps”, that facilitate the dismounting phase. 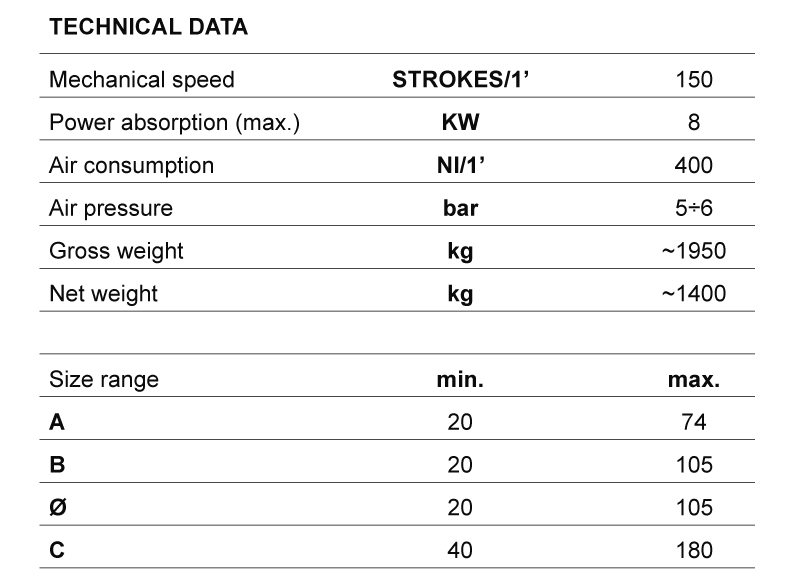 “CIP” (Cleaning-in-place): dosing group washing enabled without the need of dismounting the filling units. Nozzle stroke adjustable to enable foam-based product handling. 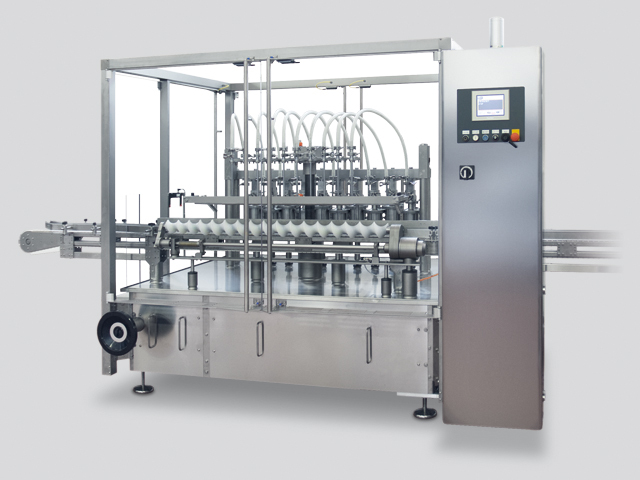 Machine predisposed for mounting of 10 dosing groups up to 500ml, and handling of bottles of up to 1000ml with 2 machine cycles. 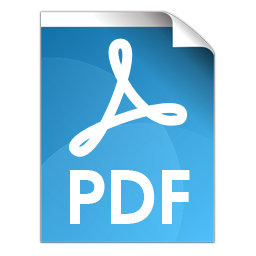 Valves can be controlled mechanically, pneumatically, or by means of gravity. Product tank positioned high to favour dosing of dense products. 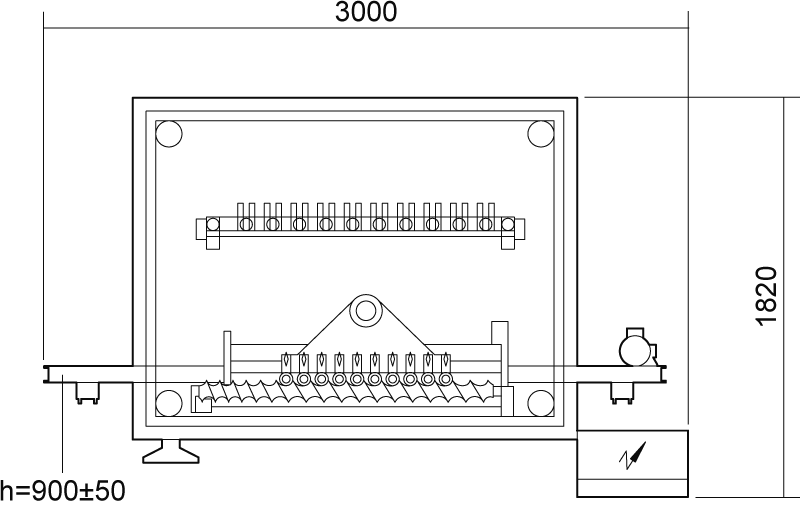 Dosing nozzles provided with bottom closure or dribble breaking systems by means of blowing or by suction. The machine thus lend itself particularly to high-density liquid filling. 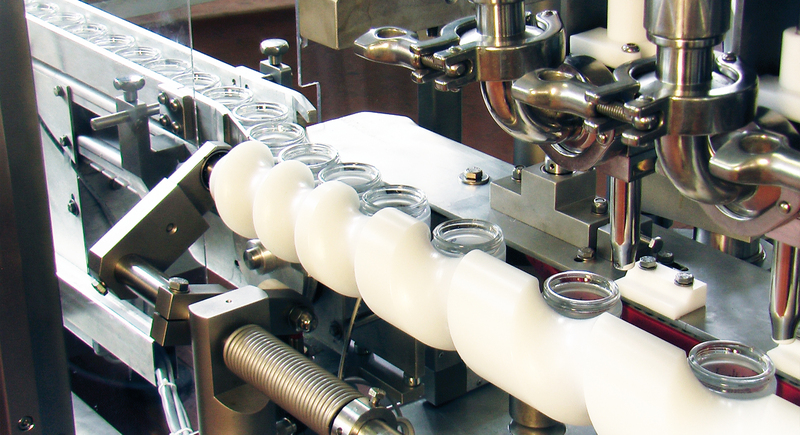 Furthermore, the machine is predisposed for rotation simultaneous to filling of jars, in order to facilitate distribution of the cream and limit bubble formation inside the jar.